BiblePlaces Blog: Lecture Series: "Assyria in Israel, Judea, and the Levant"
Lecture Series: "Assyria in Israel, Judea, and the Levant"
The University of Chicago's Martin Marty Center for the Advanced Study of Religion is sponsoring a three-part lecture series on "Assyria in Israel, Judea, and the Levant." The first lecture presented by Irene Winter (Harvard University, emerita) is on February 11 (Tuesday). No title is yet provided for this lecture. The second lecture by David Wright (Brandeis University) on "The Covenant Code Appendix (Exodus 23:20–33) and Assyrian Royal Inscriptions" will be given on February 26 (Wednesday). 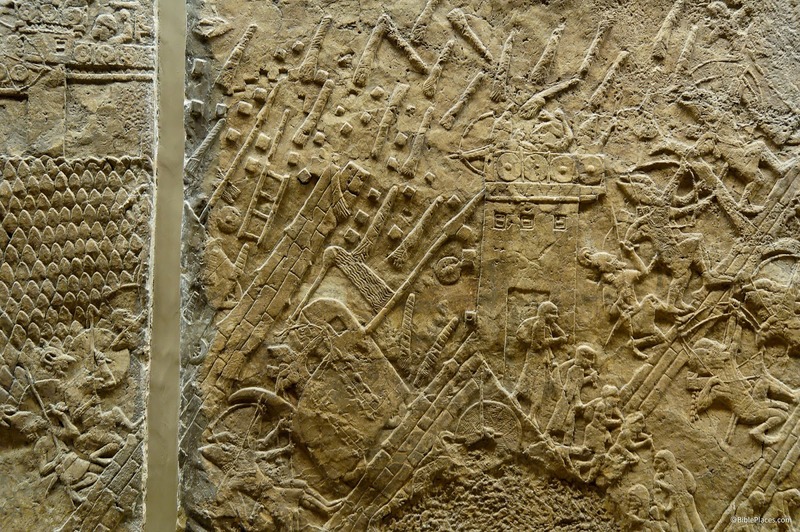 The last lecture by Elizabeth Bloch-Smith (Saint Joseph's University) will address "The Assyrian Military Impact on the Ground and in Biblical Texts" on March 13 (Thursday). The series will take place in the Divinity School's Swift Hall Common Room on the 1st floor. Lectures begin at 5:00pm and end at 6:30pm. The website for the lectures is here. 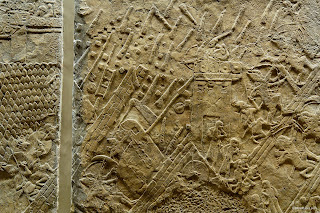 the Assyrian siege of Lachish in the reign of Hezekiah.